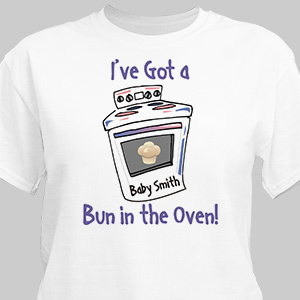 From “Bun in the Oven” to “Baby on Board”, expectant mother’s love our personalized maternity shirts. 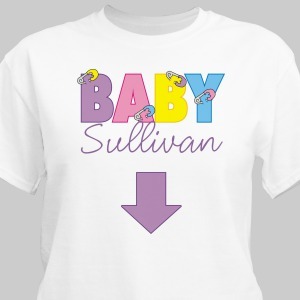 Not only are they super cute and funny, each maternity shirt has the ability to be customized with the new baby’s name. Adorable and soft, each shirt is machine washable and available in multiple sizes, so no matter how pregnant the Momma to be is, her new custom maternity shirt is sure to fit. Haven’t decided on a baby name yet? 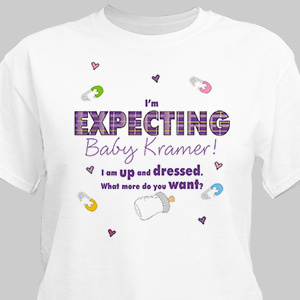 Order one of our “Due On” maternity shirts. The entire process was perfect. Swift and painless and with great results. I would use this company again in the future without a doubt!